Trimble Banner editor Jacob Blair is wearing a second editor’s hat. Following the departure of editor Kristin Beck, Blair has assumed the editor’s role at The News-Democrat and will continue in the role at the Bedford newspaper. He served as a Kentucky Press Association summer intern for The News-Democrat back in the summer of 2014. He has been a contributing writer for several stories since taking over as Trimble Banner editor in his hometown last year. “I never thought graduating from EKU I would be a community newspaper editor, let alone serving as editor for two papers or fulfilling that role where I was once the intern,” Blair said. 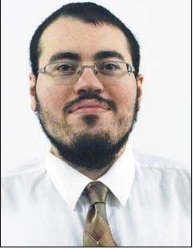 After Blair’s internship ended in 2014, he returned to Eastern Kentucky University to serve as editor-in-chief for The Eastern Progress, the student newspaper on campus. He graduated in May 2015 and began working that September as a reporter for the Owenton News-Herald. He served readers in Owen County for 11 months before joining the twice-weekly Shelbyville Sentinel News. Publisher Jeff Moore said Blair is perfect for the Carrollton editor’s role because he has worked there and knows the community. “I am sure our readers will enjoy seeing that four years after the leadership that Jacob will bring to our news coverage,” he said. Blair is from Bedford and will continue spending his time between newspaper offices in order to serve both communities effectively.